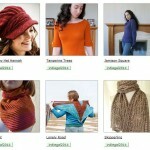 The My Sister’s Knitter KAL is in full force. I joined the cardi KAL and it was just what I needed to motivate myself to knit on Elisbeth a bit more. 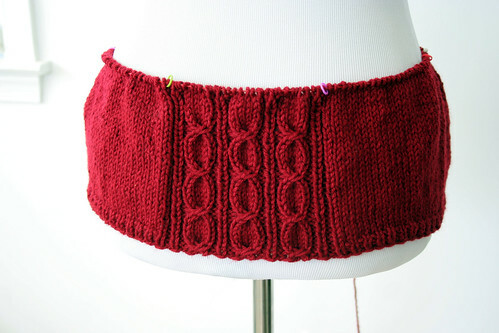 I’m two full repeats in and have started the A line decreases. I’m loving the knitting and the cables are scrumptious! Here’s a back shot too. 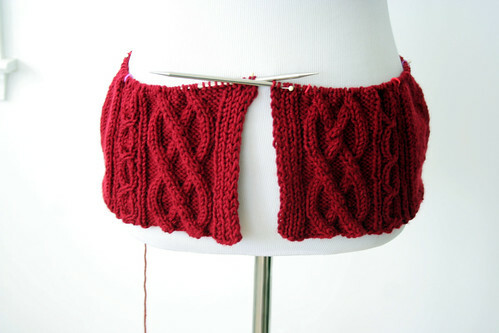 I love the look of those coin cables but not the actual knitting. Glad there’s only 5 of them (2 on the front as well) and they’re only every 8 rows. I can deal with that. I’m just about done with my first skein and still have another to knit through partly before I get to where I was before I ripped last year. The stitches are slightly bumpy because it’s been ripped but a quick dunk should fix that up. Add short rows to the cap sleeves to make them more fitted. I’m not going for the bat wing look. Make the shawl collar wider. 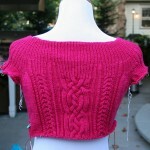 This one will be an experiment but since it’s the last thing to knit I can try it on as I go. What about you? How are your WIPs going? cardi, goals, WIPs - 2014 cables, cardi, elisbeth. permalink. Wow, what a lovely color. Vintage will always be one of my favorite yarns, and your pattern looks stunning in it Keep it up! thanks! i wasn’t totally sold on the Vintage with its high acrylic content but working with it has me convinced! plus i think it will be a little lighter weight for the office than 100% wool. Oh i love the cabley goodness & the color is so rich! yeah it’s a great color. i’m still surprised at how good the cables look in a yarn that’s 50% acrylic. Good grief this is beautiful! thanks, sam! i’m definitely excited about it. they’re definitely a pain! and this is the first project i’ve done them in; otherwise i might have chosen a replacement cable! but i do think they’re pretty. 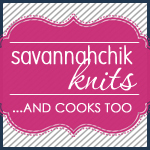 I’m away from blog reading for a week or two and all of a sudden everyone is making a sweater. I feel left out! The color or that sweater is just perfect. I know it will look great on you. And it looks like you are making great progress with those cables.